Please join with us in celebrating the commencement of our 2018 graduates. Commencement begins at 10:00am on Saturday, May 12, 2018 and our speaker will be Dr. Fred Moritz. 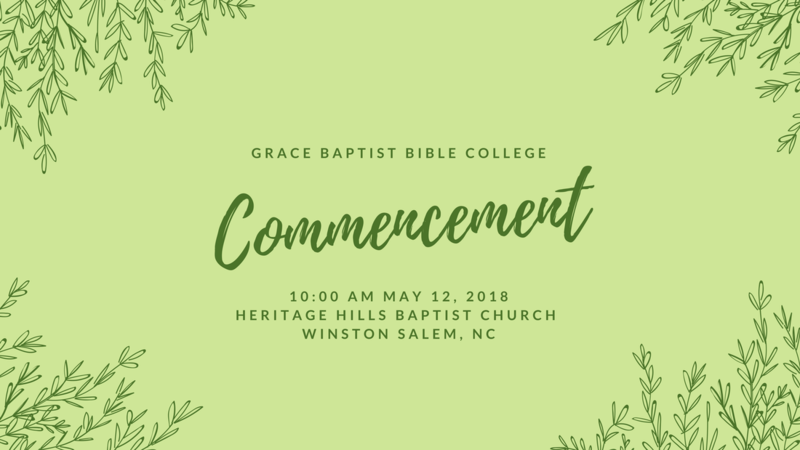 The graduation will be held at Heritage Hills Baptist Church.